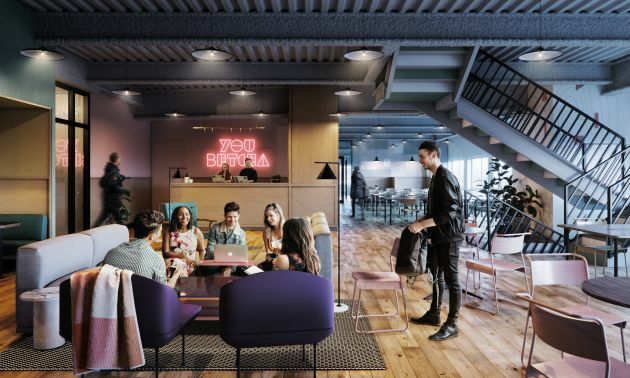 Co-working provider WeWork opens Monday in Capella Tower in downtown Minneapolis adding to the already growing network of co-working offices in the Twin Cities. On Monday, some of the space’s first members will begin moving into the space, which occupies the 38th, 39th and 40th floor of the Capella Tower on the corner of S. 6th Street and 2nd Avenue S. It’s the first Minnesota location for the upscale co-working company, which was founded in 2010 in New York City and now has more than 160 locations in 17 countries that offer flexible, shared workspace for members. WeWork offers access to conference rooms, phone booths, community bars, pantries and complimentary fruit water and coffee among other amenities.